Celcom Axiata Berhad, the first and foremost mobile telecommunications provider in the country will bring back fond Raya memories this year by introducing a remix of the classic hit “Menjelang Hari Raya” as part of its exclusive Aidilfitri offerings on The Cube – a multimedia-branded channel that fulfils consumers’ needs to access content on any device while on the move: at home, at work or at play. 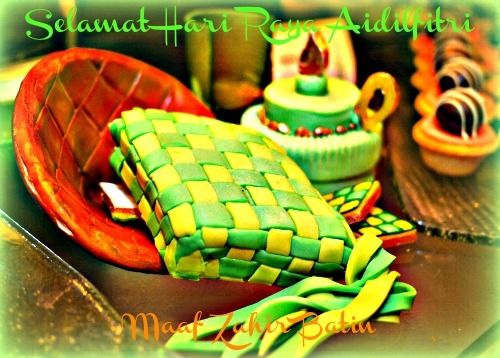 I first listened to Menjelang Hari Raya way back in the late 70’s (or was it the early 80’s?!). In fact, this perennial Raya song was originally recorded in 1979 and performed by Datuk Irwan Shah Abdullah, more popularly known as D.J. Dave. Now, as we await the dawning of Syawal, we can listen to a spanking new Menjelang Hari Raya (CUBE Mix) single which is conceived and produced by The Cube and will be available exclusively on The Cube as part of its Musicube and Call Me Tones offerings. En Afizulazha Abdullah, Chief Operations, Advanced Data for Celcom Axiata Berhad, speaking on the remix, said “This is the first time ever that a mobile telecommunications service provider has collaborated with a music label to produce and offer a modern twist on a classic song! We have no doubt that this exclusive single from us will appeal to a younger generation and our customers on The Cube”. It’s true – I find the lively beats and modern arrangement on this well-known melody very different and refreshing. This is because, apart from D.J. Dave’s unmistakable tenor vocals, the upbeat single also features world-renowned percussionist Steve Thornton (who has performed with superstars like Mariah Carey, Michael Jackson, Tracy Chapman and jazz legend Miles Davis), local turntable maestro DJ Nabila (who has won the Choons Award for Best Female DJ for 3 consecutive years) and upcoming newcomer DJ Feeraz. 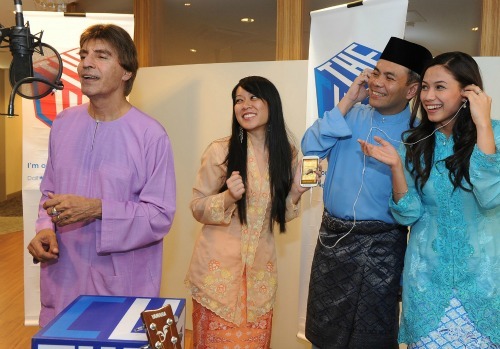 The Menjelang Hari Raya remix will join an extensive line-up of other popular classic modern Raya songs available on The Cube – these include Dendang Perantau, Suasana Hari Raya and the evergreen Selamat Hari Raya. The Menjelang Hari Raya (CUBE Mix) single is part of The Cube’s Nur Ramadan and Salam Syawal campaigns for Ramadan and Aidilfitri this year, which aims to bring customers and their loved ones closer together through a celebration of love by forgiving, sharing and caring. “We encourage our customers to make good use of our new mobile content by sharing it with their loved ones as we come to the end of the holy month of Ramadan and prepare for Raya festivities” added En Afizulazha. The Cube is offering 7 promotional premiers as part of its Malam 7 Likur promotions from 12-19 August 2012, each to be launched in the 7 days leading towards the month of Syawal. These include an exclusive partnership with TV Al-Hijrah for mobile content, the Umrah Bersama Call Me Tones campaign that will give Call Me Tones Ramadan package subscribers the opportunity to perform umrah with a loved one and of course, the chance to win RM1,500 duit raya daily during the last week of Ramadan – find out how at The Cube! To enjoy these exclusive content and promotions, do visit The Cube’s website or the mobile site at m.thecube.my to view the entire list of offerings, subscription methods and download codes. Celcom customers can also access The Cube directly on their mobile phones by dialling *888#. For a start, check out Menjelang Hari Raya (CUBE Mix) here and move your groove to the uplifting beat!